Declining diesel take-up could see the UK miss tough EU CO2 targets as drivers switch to petrols rather than ultra-low emission vehicles. 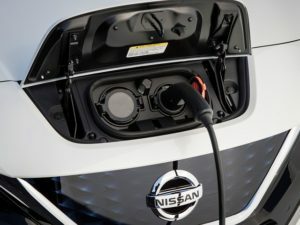 The SMMT says greater charging infrastructure investment and new car incentives are vital to drive ULEV take-up. That’s the message from the Society of Motor Manufacturers and Traders (SMMT) as it confirmed the fleet average CO2 of newly registered cars rose for the first time on record in 2017 – despite giant strides in vehicle efficiency. 2017 registration figures first published last month show average new car CO2 rose for the first time in two decades, with new cars averaging 121.04g/km, up 0.8% on 2016. This is despite today’s cars emitting 12.6% less carbon dioxide than equivalent older models. The setback on CO2 progress came as ‘diesel demonisation’ together with VED and diesel tax changes led diesel take-up in 2017 to fall 17.1% while demand for petrol cars was up by 2.7% and the alternatively fuelled vehicle market grew 34.8%. Now, latest research from the SMMT has found that the shift away from diesel was responsible for almost half of the CO2 increase, along with changing model take-up. And the organisation says that the anti-diesel agenda and slow take-up of electric vehicles could bring negative consequences for the UK’s own climate change goals as well as meaning the industry will miss its next round of EU CO2 targets in 2021 – a 5.9% reduction will now be needed each year to meet the 95g/km level by this date. SMMT data also shows that more than a fifth of new car models now available are zero emission capable, yet they make up just 5% of sales. For pure battery-powered vehicles, take-up is even lower (0.5%). The figures follow months of warnings that an ‘anti-diesel agenda’ would hinder progress on CO2 – PSA Group highlighted to Fleet World late last year how government policy was creating a “CO2 problem”. Mike Hawes, SMMT chief executive, called for long-term incentives to deliver shared ambitions on climate change. “To accelerate fleet renewal, motorists must have the confidence to invest in the cleanest cars for their needs – however they are powered. A consistent approach to incentives and tax, and greater investment in charging infrastructure will be critical. Now, more than ever, we need a strategy that allows manufacturers time to invest, innovate and sell competitively, and which gives consumers every incentive to adapt,” he commented.